Born at Montecchio Emilia on 30th October 1954, obtained a painter diploma from the Accademia di Belle Arti in Bologna in 1977. In that very year he had his first one-man exhibition at Galleria Studio G7 in Bologna, with the catalogue introduced by Giovanni M. Accame. In 1978 he won the first prize at the I International Triennial Design Exhibition in the Künsthalle at Norimberga. In 1980 he presented three large installations in the Museum of Contemporary Art in Antwerp, with the catalogue introduced by Flavio Caroli. In the same year he was invited to the "Magico Primario" exhibition at the Triennale in Milan, of which Flavio Caroli was the curator. In 1981 he was invited by Bruno Mantura and Ida Panicelli to participate in the XVI Biennale in São Paulo. One-man show at Galleria La Salita in Rome. In 1982 Tommaso Trini offered him his own room at "Aperto '82", at the XV Biennale in Venice. In the same year he was present at the XII Biennale in Paris, MusŽe de la Ville. A critical committee consisting of Flavio Caroli, Renato Barilli and Roberto Sanesi invited him to take part in "Italian Art 1980-82", at the Hayward Gallery in London. Giulio De Marchis included him in the "100 Years of Italian Art" Exhibition at the Museum of Modern Art in Tokyo during the XIV International Triennial Art Exhibition. In 1984 Maurizio Calvesi offered him his own room in the "Arte allo specchio" section of the XLI Biennale in Venice. In 1985 Arnold Herstand organised a one-man exhibition for him in New York. A scientific committee consisting of Flavio Caroli, Renato Barilli and Claudio Spadoni invited him to take part in "Anniottanta" at the Galleria d'Arte Moderna, Bologna. In 1986 he was invited by the Frankfurter Kunstverein of Frankfurt to the exhibition "1960-85. Aspekte der Italianischen Kunst". In the same year, on the invitation of Arturo Schwarz he participated in the XLII Biennale in Venice, in the "Arte alchimia " section. He was invited to the XI Quadriennale in Rome. In 1990 the Scottsdale Center for the Arts in Arizona invited him to the "Artists and Hunger" exhibition. The Marian Locks Gallery of Philadelphia and the Museum of Contemporary Art presented a selection of panels. 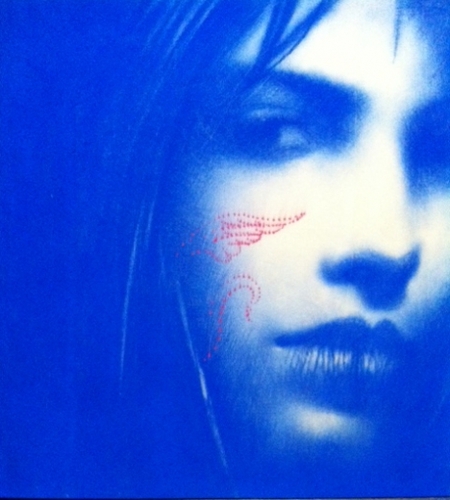 In 1991 he took part in the "Now in Italy" exhibition at the Kodama Gallery in Osaka. In the same year Pierre Restany offered him his own room at the "Ambienti" exhibition, held at the Palazzo delle Stelline in Milan. Also in 1991 the Teatro Municipale R. Valli of Reggio Emilia commissioned him to produce a new drop-curtain for the theatre; Flaminio Gualdoni was curator of a retrospective exhibition of his works in the adjoining areas. The Accademia di Belle Arti of Perugia invited him to exhibit there and in the Rocca Paolina, with Italo Tomassoni as curator. In 1992 the Museo d'Arte Moderna e Contemporanea of Modena held a one-man exhibition of his works in the Contemporary Design section, organised by Italo Tomassoni. Also in 1992 Pascual Lucas organised a one-man exhibition of his works in Valencia. In 1993 Achille Bonito Oliva invited him to the "Tutte le strade portano a Roma?" exhibition in the Palazzo delle Esposizioni in Rome. Cleto Polcina set up his one-man show entitled "Disegno". In the same year the Cassa di Risparmio di Pescara bank commissioned him to produce a cycle of frescoes for its new headquarters. The foreword to the book was by Cristina Acidini Luchinat and Fabio Isman. The Teatro Argentina in Roma presented a large panel by him, "Disegno", with an introduction by Otello Lottini. In 1994 the Marian Locks Gallery presented 18 new panels in Philadelphia. The Budapest Museum of Modern Art and the SzechŽnji National Library invited him to the "Territories of the Sun" exhibition, under the curatorship of Massimo Bignardi. The Spazio Krizia in Milan hosted a one-man show of his works with Muni Sassoli De Smecchia as curator. 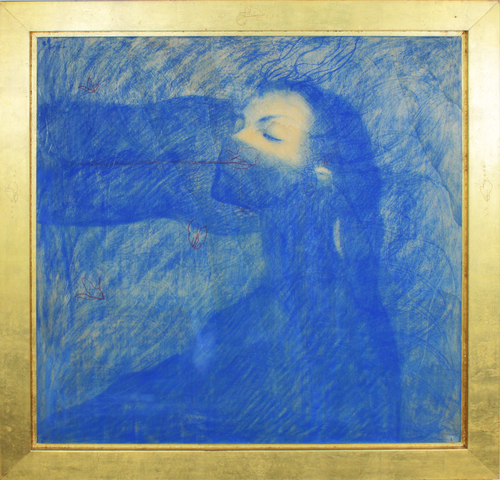 In 1995 the Galleria d'Arte Moderna in Bologna organised a one-man show of his works entitled "Disegno". In the same year, the Lower House of the Italian Parliament awarded him a special prize for his participation at the Quadriennale in Roma and played host to a one-man show of his works with Vittorio Sgarbi as curator. A work entitled "Disegno", measuring 250x260 cm (pencil on panel) is currently on exhibition in the collections of the Lower House. 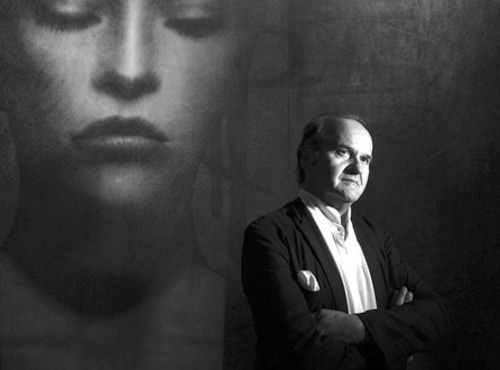 In 1998 New York University gave him a one-man show entitled "Feminine Countenances", with Otello Lottini as curator. In 1999 the City of Naples held an exhibition entitled "Sette mantra per Laura e un vulcano"; the catalogue "Electa" was by Italo Tomassoni. In the same year, the Premio Marche Biennale of Modern Art dedicated a monographic exhibition to his works at the Mole Vanvitelliana at Ancona. In May 2000 the Beijing Museum of Modern Art hosted a large one-man exhibition. In October 2000 the Palˆcio Foz exhibition centre in Lisbon hosted a large, wide-ranging exhibition entitled "The Turning Point" with Lucrezia De Domizio Durini as curator. The book published by Charta contained essays and interviews by the curator herself, Antonio D'Avossa, Giuseppe Conte, Emanuel Dimas De Melo Pimenta and Galliani himself. The Fortezza Firmafede at Sarzana presented a new cycle of works "Dall'alba al tramonto" under the curatorship of Cardelli and Fontana Arte Contemporanea, catalogue by Elena Pontiggia, Otello Lottini and Italo Tomassoni. In 2001 he was invited by the Accademia di Belle Arti to participate with two large works in the "Figure del 900 n. 2, oltre lÕAccademia" exhibition at the Pinacoteca in Bologna. Curators: Adriano Baccilieri, Roberto Daolio, Concetto Pozzati. 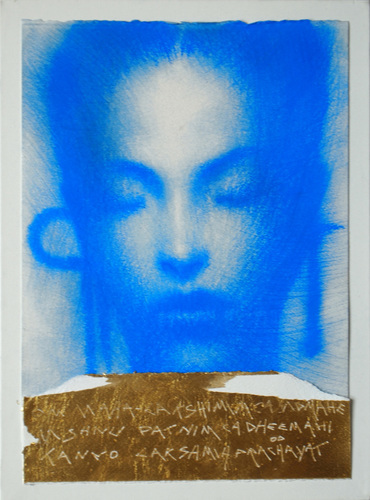 One of his large works, "Mantra", was chosen for the selection of 20th Century works of art at the Farnesina, Rome. Also in 2001 he was invited by Alessandro Riva to the "Sui generis" exhibition at PAC, Milan. In the month of June Marisa Vescovo invited him to the "Anni 80" exhibition at Galleria del Tasso, Bergamo.